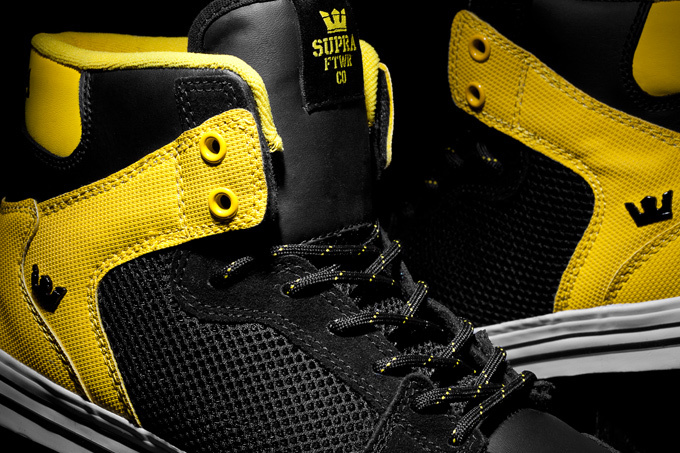 Newly available from Supra is a special “Steel Pack”. 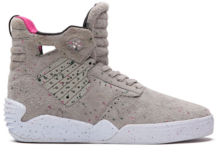 First up from the pack is a look at the latest edition of the Vaider. 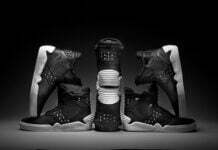 Some modern flare has been added to a classic high top design in the Vaider “Steel.” The upper is constructed of black leather, black suede, and black open-cell mesh. 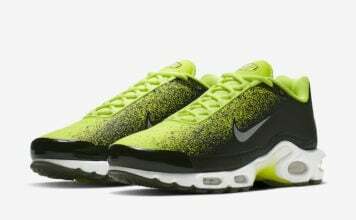 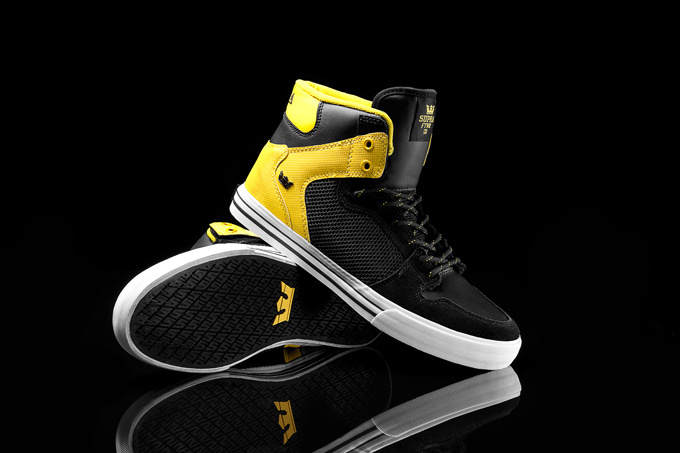 The composition is enlivened by bright yellow, Express TUF in the heel paneling. 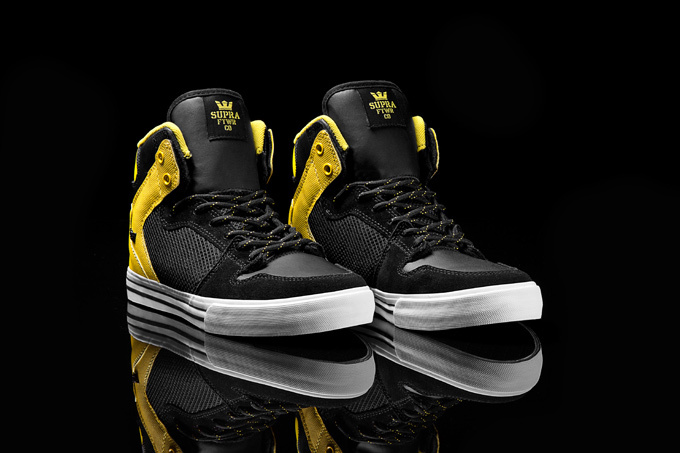 It’s built upon a black vulcanized sole with white foxing and black pinstripes. 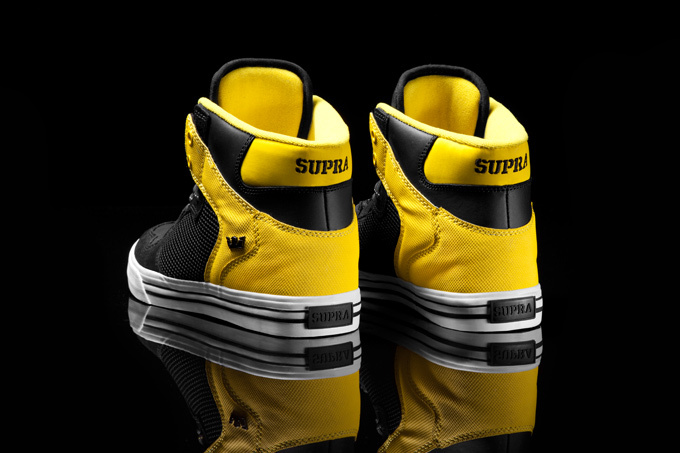 The Vaider “Steel” is available at fine SUPRA retailers worldwide, and suprafootwear.com.